The MX10 Universal Audio Processor connects your telephone and PC or external audio device to a Plantronics headset and provides control of the sound through your headset. The MX10 includes near-universal compatibility with single- and multi-line telephones. 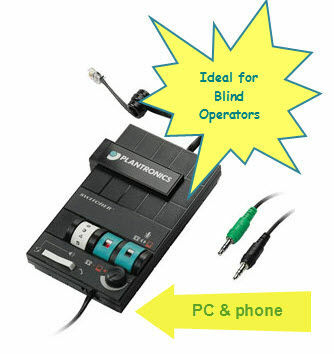 A Quick Disconnect connector allows you to walk away from your desk without removing the headset or disconnecting the call.